CIDAUT Foundation is a private non-profit institution committed to strengthening the industrial fabric in the transport and energy sectors, through specific research and development programs. CIDAUT is the for ReFreeDrive, managing the project from the technical and administrative viewpoints. The European Copper Institute (ECI) is a joint venture between the International Copper Association Ltd. (ICA), representing the majority of the world’s leading mining companies, custom smelters and semi-fabricators, and the European copper industry. ECI is the project’s communication manager. Supported by its industrial network and long-term involvement in the copper-rotor technology, ECI will provide the required background and advice on the induction technology track as needed, both in terms of value chain and industrialization perspectives. Motor Design Ltd. (MDL) have been developing electric motor simulation software since 1998 and are a world leader in the development of advanced software design tools for electromagnetic and thermal analysis of electrical machines. MDL will design an advanced Induction Motor that meets the project’s requirements. Additionally, MDL will support the cooling system design and thermal analysis of the Synchronous Reluctance machine, and use the bench test and full-vehicle validation data to improve the fidelity of the simulation models and of the Motor-CAD software, where necessary. 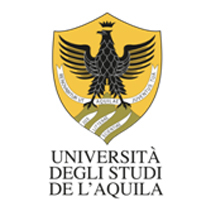 University of L’Aquila (UAQ) has been working for many years in the field of designing, prototyping and testing of innovative and customized systems for industrial automation, domestic appliances, electrical actuation and digital process control. The UAQ will support the project research collaborating in the Motor Design of both technologies, conducting thermal anlyses, developing the electric drive design with the support of modelling and simulation activities, implementing dynamic models and control strategies, and finally, supporting the manufacturing and testing activities. IFPEN will lead the design of the Synchronous Reluctance motor for the target applications (medium and high power ranges) focusing on free rare earth concepts. IFPEN will also lead the power electronics design for the high power range application, based on wide band gap technology. Besides, IFPEN will be involved in powertrain validation. 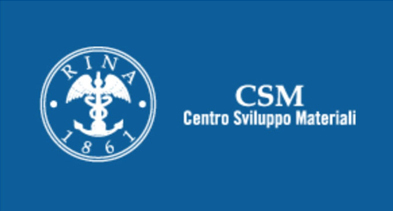 Centro Sviluppo Materiali (CSM) is a fully private innovation centre – founded in 1963 by Italy’s major steel industry – with extensive experiences for the development and application of innovative processes and materials. CSM is mainly involved in the characterization and selection of FeSi Materials for Induction Motors and SynREL motors. The materials selection will be based on a global assessment of magnetic properties and manufacturing process. The analyses include also mechanical characterization of the materials and FEM stress analysis. Tecnomatic S.p.A. is a SME involved in several business units, mostly related to the automotive world and including winding production systems and Control & Assembly production systems. During the past decade, thanks to its greater than 40 years of experience and knowhow in the Winding Sector it has concentrated on designing and developing Hybrid and Pure Electric innovative motor technology for the global manufacture and E-motor Industry. Tecnomatic will produce flat wire winding stator for the induction machines, collaborating actively in the design. Mavel is a SME based in Pont Saint Martin, Italy, whose core business is the development, manufacturing and application of high speed electric motors and power electronics. High speed systems (high rotational speed of the motors and high commutation frequency of the power electronics) have grown more and more important in the past recent years because of the urgent need of electrification and efficient energy management that is spreading in a wide range of technological areas. Mavel main role is the manufacturing of the PM-assisted SynRel motors as well as the integration of the power inverter in the motors. Breuckmann eMobility produces sustainable high-quality rotors with maximum performance for asynchronous electric motor types. By applying latest methods and know-how based on 50 years of operational experience, the company developed a unique rotor casting technology named Laminar Squeeze Casting. It enables them to realize very thin slot geometries and lowest levels of product porosity, which are required by the automotive industry. Breuckmann eMobility is in charge of casting copper rotors made from pure copper and its alloy as well as finishing the casted rotors. The company will also contribute to the design, simulation and production of the die casting tool of the squirrel cage for the SynRel machine. Aurubis is the leading integrated copper group and the world’s largest copper recycler. Our core business is the production of marketable copper cathodes from copper concentrates, copper scrap and recycling raw materials. Aurubis will supply the rotor bars as an assembly in a squirrel cage for the 2 rated motors (75kW and 200kW); this involves the design and manufacture of extrusion and drawing tooling and the production (casting, extrusion, drawing and quality control) of the rotor bars in the specified alloy. The company was born within the Department of Industrial Engineering, Information and Economics (DIIIE) of the University dell’Aquila. It offers services and products in support of research and development in the field of electromechanical design, automation, data acquisition systems and electrical and electronic measurement. In this project, R13 is in charge of the Power Electronics Manufacturing. R13 will support also UNIAQ for motor control strategies and power electronic design. PRIVE’ is an engineering company founded in 2010 by five charter members who believed in the importance of providing a wide range of professional solutions in the electrical powertrains market. Privé began its activity into the automotive sector obtaining a patent for an electric car conversion kit (retrofit kit) for the Smart Roadster. The electric Smart Roadster was also the first prototype born in Privé, and now is used as a test platform for research and development activity. Privé is the project system integrator and end user, providing specifications and performing the in vehicle integration and validation tests. JLR will set the vehicle specifications, providing the baseline for the high power electric motors. JLR also will support the machine designs, as well as the integration into vehicle and the testing of the motors. JLR will be the leader of the project’s techno-economic evaluation.